Apply for a spot in the Business Marketplace by April 10. A limited number of spaces available. ​The Earth Day Fair Planning Committee listens. We are a volunteer committee dedicated to organizing an Educational Earth Day celebration for our community. We’ve been asked through the years to provide a place for vendors.  In an effort to keep the primary focus of Leavenworth Earth Day Fair about EDUCATION and accommodate the profit element of sustainable practices, we developed a Pilot Program called the EDF Sustainable Business Market (SBM). During this trial period, in an effort to keep the focus of the Fair on EDUCATION, the Planning Committee will welcome a limited number of vendors to the SBM. No other items for sale will be allowed outside of the SBM, without agreement with the Planning Committee, in order to retain the community education commitment of the spirit of the Earth Day Fair. Questions, contact us at 509-548-6881.